Last year Kate was one of the best players on her team. But now the new girl, Emily, has joined the Angels. When Emily stops bragging long enough to play, she proves she's actually pretty good, which really gets under Kate's skin. 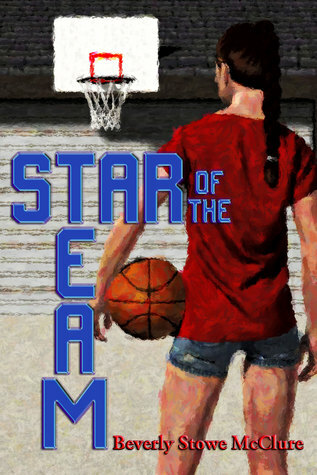 Kate wants nothing more than to be the star of the team; and she's willing to work hard to make that dream a reality. But when Kate has an accident on the court, her dreams are put on the back-burner. As she takes a break from basketball, Kate finds time for some insightful introspection. Author Beverly Stowe McClure continues to captivate young audiences with her book, Star of the Team, which speaks to girls on many levels. Her ability to portray the myriad of hopes, fears and frustrations of her young characters is a big part of what makes McClure an exceptional writer. Fans of McClure's writing will not be disappointed with this book which will appeal to young readers, even those who may not follow basketball. Star of the Team comes highly recommended for home and school libraries and has earned the Literary Classics Seal of Approval. Thank you for the lovely review. I'm so happy you enjoyed the story. Kate says thank you too. Wonderful review of a great book! Thanks for stopping by, Melanie, and for your kind words. I loved this book from the time I read the submission.